How to Eye Care Practices and Clinics Can Build Smarter Websites, Get More Customers, and Create a Marketing Plan that Works. Want to learn how to do marketing, SEO, and website development for optometrists? What are the best strategies for marketing your optometry group? Do you own an optometry group/practice? Optometrists are in an industry that has been dramatically altered by the digital revolution. It started out that online sites were stealing sales of prescription glasses, sunglasses, and contact lenses, and then it grew from there. Now, you can get a full eye exam online without ever visiting a licensed doctor's office. But that's not to say that's what's best for everyone's eye health. 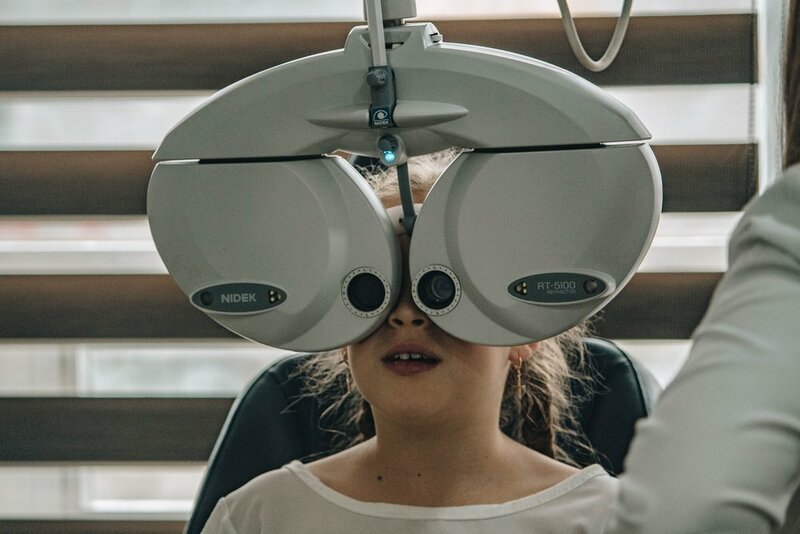 So as optometrists face stiffer competition with online retailers, the time is now to strengthen your marketing and advertising capabilities to earn new patients and show the value you bring to eye health and wellness. Throughout this guide, you’ll learn tactics and best practices to compete both online and in traditional marketing to book more patients and grow your practice. Here’s a look at the major sections of the guide. Let’s dive in and start marketing your practice to gain greater exposure and book more patient leads. Health care professionals face the need to bring in new patients continually. Patients move, get healthier and no longer need as much attention or decide that a new practice would serve them better. optometry marketing, web design, and development: learn how vail networks can help your company grow. Because you face patient attrition, you need to generate leads on a rolling basis. To do this, you need to have constant awareness drivers in your marketing mix both from digital and traditional marketing initiatives. This section is dedicated to helping you understand where to put your time and effort. Inbound marketing is the best way to drive awareness in the marketplace about your optometrist office continually. Marketing that is classified as inbound focuses on bringing in customers from content that helps them answer their questions and fulfill a need. Just because inbound marketing is ideal for this does not mean that outbound marketing doesn’t have a place in your marketing plan. Outbound marketing includes print ads and television and radio ads, which we now refer to as traditional marketing. To generate constant awareness for your practice, you should employ both marketing styles to reach customers where they’re at. Here’s how to structure your marketing plan. Search engines have become the way we answer questions, where we go for insights and how we complete research for making a buying decision. Because search engines are so prevalent in our lives now, they play an essential role in how your market your optometrist practice. No matter how a potential patient hears about your practice – a referral from a friend, social media, or just by looking at what’s available nearby them – they will likely take a look at what is being said about you online. What they see when they complete that search can dictate whether or not you even get an inquiry phone call. Local SEO is the art of ensuring your business is in the top search results when someone looks for a company in your area. If you aren't showing up in those top results, you risk getting fewer calls and new patients. That includes many tactics all pointing back to improved SEO so let’s walk through each of these to help you learn how to leverage them. Google My Business enables you to show up as a business listing on a map that shows up when potential patients search for businesses like yours. It’s a free tactic that has no risks associated with it and requires little ongoing upkeep. Log into your Google account and go into see if your business is already listed. Google crawls websites and creates an automatic listing for many companies. If your optometrist practice already exists, all you have to do is claim it. By claiming it, you can then update it and ensure all information is accurate. You can also monitor reviews and what's being said about you. Once you claim your listing, you'll need to verify it. One simple way of verifying your listing is by receiving a postcard in the mail to the address listed. You'll then enter the code found on the card online, and the listing will be yours. Search engines are very smart and have complicated algorithms that enable them to serve up the content users search for. And yet, they’re still imperfect and need a little help. Search engines struggle to connect various online listings for a company when the information is inconsistent. Consistency is crucial for being the top result for searches for optometrists in your area. So visit all websites where there is mention of your practice name and ensure that your name, address and phone number match what’s on your Google My Business listing. Once you claim your Google My Business listing, you’ll get alerts for when someone posts a new review about your business. Reviews help to build confidence in potential patients that you are a good practice to visit. However, many people only think to post a review if they've had an exceptionally good or especially bad experience with you. To help prompt your patients to share their experience, place a link within your follow-up emails and text messages and ask them to write a little something about you. Reviews can help you show up at the top of the map listing for optometrists in your area if those reviews are positive. When you start soliciting reviews, you will get a negative one here or there. Don’t get too caught up in those. It’s OK to allow people to express how they feel and one or two negative reviews won’t hurt your chances of finding new patients. Links from other sites are like a referral telling search engines "you should trust this website." The more links from trusted websites you have, the better your search rankings will be. Now the key here is that you seek out links from truly trusted sites. All links are not created equal so don't just go out and get anyone to link to your website if they're unrelated to your field or are known for being spammy. Think about industry websites like HealthGrades and local websites like your chamber of commerce. These sites give you another place to list your address for local search purposes and to receive links to your website. All of your local SEO tactics lead back to your site. That makes your website the most crucial factor in your local SEO strategy. If your website isn't optimized and your address isn't prominent, you'll miss out on a world of online opportunity. Websites are an ongoing project. You have to keep them current and up to date as far as design and regularly supply it with new content, so search engines know it's maintained. So if it has been several years since you updated the design, it's probably time to revise it and make it look more current. Ensure that your address is prominently displayed in the footer, so it's visible on every page. Write blog posts that showcase you are an eye health expert and that feature your location in them to supply your website with ongoing content related to optometrists in your area. Social media can make your current patients feel good about having you as their doctor and show others that you're an excellent choice for becoming their doctor. The interactivity that social media supplies enables you to look very human, friendly and approachable, which other marketing tactics don't allow for quite as much. Showcase your expertise with blog posts, short how-to graphics and patient reviews on your social media profiles. Each platform is tailored to a specific type of content and lends itself differently to your marketing strategies. Use them accordingly to see the best outcomes for your business. Instagram is a social media platform designed for sharing images and videos. Because this is a visual platform, you’ll want to think about how you represent your optometry practice visually. There are a variety of ways to do this. Film short videos where you share how to take care of your eyes. Maybe it's the top three foods to eat for eye health or debunking the number one myth about eye health. You can use your cell phone to film these short videos to share on Instagram, meaning you don’t have to employ a film crew or pay huge fees to get the job done. Another great way to leverage Instagram is by creating simple graphics using a platform like Canva. Make a graphic that shares an eye health tip or how best to care for your contact lenses. Oakland Vision Center boasts more than 12,000 followers (@oaklandvisioncenter). Their posts are clean, vibrant and fun. Plus, the contact information they supply is a phone number where you can text them, which is a pretty awesome service in today’s connected world. The photos they share are mostly of stylish glasses wearers or fun graphics, such as one that says “7 ways to make those FSA dolla$ holla.” You’ll also find cute puppy photos, who doesn’t love that? Much like Instagram, Facebook is a highly visual platform, but it also allows for long-form content. A strength Facebook has over other social media platforms is for events. Events are shareable, and when someone lists themselves as going, it shows up in their newsfeed for their friends to see. Additionally, Facebook invites more interactivity between you and your followers and you can publish clickable links, which is not possible on Instagram. Facebook enhances your local search activities because it allows you to list your address alongside your company name. Before you go out and create a Facebook business page though, create a content strategy so that your page always looks fresh. Because it’s part of your local search strategy, you need to be aware that people will be looking at it in their decision-making process. This means you need to look open for business by posting content regularly. The Facebook page for Park Slope Eye uses a variety of content to engage its readers. From graphics helping parents understand when to get their baby’s eyes checked to articles on sun glare during driving, the page helps visitors care for their entire eye health. Want to learn more about how much to expect to pay for contacts? They share that too so that you have practical information to go along with the fun and interesting posts they share. All photos have their company name on them so that if they get shared on, you’ll know who they came from. Snapchat is a popular social media platform for college-aged users (ages 18-24 makes up the largest demographic). These are individuals who are preparing to or are already getting off of their parents’ health plans and starting to make their own decisions about health care providers. Getting patients in at this phase of their life can mean lifelong patients for your practice who years down the road may bring their spouse and children into your practice as well. Snapchat for business gives you the opportunity to market to these individuals. While Snapchat’s audience is well-positioned for helping you grow your practice, there aren’t many organic opportunities on the platform to reach people. Outside of advertisements, another opportunity for Snapchat is to create a custom filter that shows up when patients are within a specific geographic location of your business. A filter enables users to share their visits and experience with their followers, which can help you expand your reach. Pinterest is an overlooked social media platform with great opportunity. It is the second-most influential social media platform for users making a purchasing decision, according to recent statistics. Its largest demographic is ages 18-29 and 30-49. These are fantastic ages to reach when working to grow your optometrist practice. If you’re blogging on your website, Pinterest can help you reach your customers with that content because it provides clickable links along with an image. You can also reuse some of your Instagram content that you created with how-to graphics and tips. West Shore Eye Care offers Pinterest followers boards that provide a little something for everyone. From style tips and information to eye health facts, you'll find the details you need to be healthy. Their posts make it clear what their focus is and yet they still have fun with it. With interesting graphics and eye-catching headlines, it’s a great page to visit to learn how to do optometrist social media marketing. Online reviews provide many benefits for your optometrist office, but there is a risk that you’ll receive poor reviews. This does not mean you shouldn’t open yourself up to receive reviews, but you do need to do some reputation management to limit the effects of bad reviews. Reputation management means reading over all reviews that you get and responding appropriately. You can also have some reviews removed. These reviews include profanities, false information or are targeted at destroying your business. If a negative review doesn't fall under any of the prohibited classes, you'll need to leave it where it is posted and work to reduce the effects it has on potential patients when they are researching you. The best way to do this is to write heartfelt responses. Apologize for any gaps in service, offer to make it right where you can. And never come off as defensive. Your goal in reputation management is to make the author feel heard and respected. You also want to show other readers that you care and will be there when they need you. Remember, receiving negative reviews should not make you delete your Google listing or close your Facebook reviews. Everyone gets negative reviews sometimes, and it's perfectly OK. Eye Care Center of Colorado Springs does regular reputation management on its Google review page. Here's a look at how they handled a customer complaint on the page. The team acknowledges the problem, states that the office isn't usually run that way and that they would like to make it right if the customer returns. That's an example of good reputation management because the team isn’t trying to explain why the incident happened or why they recommended expensive eyewear to the family. Print advertising can still bring in new traffic to your practice. One of the aspects you'll want to pay close attention to in your print marketing is how easy it is for people to learn more. You should list your website that's easy to type and make it simple to request an appointment with you digitally. Phone calls are now seen as a chore, so offer more ways to get in touch. If you can accept text messages, more power to you! Here's a look at some best practices for various types of print marketing materials. Once the backbone of health care communication for appointment reminders and scheduling updates, postcards now serve a different purpose. Postcards are a great print marketing piece because their messaging isn't hidden behind an envelope. They help you catch up with patients you haven't heard from in a while. You can also use postcards to reach patients who have opted out of your email marketing. This way you can still honor their wishes and stay in touch with them. Use strong visuals on postcards that invite the recipient to pick it up and read it from their pile of mail. Generally, you have the entire front of the card to place your messaging, while the back is what’s reserved for the mailing information. Depending on the size of your card, you might be able to squeeze in a tiny bit of messaging to the left of your address space, but be careful because the post office does have rules about how much space must be dedicated to the address. You can get pretty fancy with mailers. From die cuts to pop outs you have the opportunity to make your mailers look neat and engaging. The struggle with mailers is, the fancier you get, the more expensive it is to make them, which means you need to be very strategic with them for budgeting purposes. You can use mailers to follow-up with first-time patients to ensure they return and that they know all you have to offer. You can also use mailers to follow up with interested potential patients. Fliers are great for event marketing and are probably some of the most inexpensive print marketing you can do. That’s because fliers are printed on full or half sheets of regular printer paper, which means you can generally print them in-house. You can have a designer create a template for you that you can then adapt messaging on for various audiences and events. For example, you would want your message to be different for a fundraising event you sponsor versus local home and garden show. With a full sheet of paper, it can be tempting to fill the space with every service you offer and tons of photos, but we advise against that. Use white space in your favor and focus on one message that pertains to your audience. Your local newspaper can be a great place to bring in new interested patients. Because newspapers are local, they help you reach the audience you’re seeking. One thing to keep in mind about your newspaper articles is that they’re generally black and white. In some cases, you can find color options, but these are usually more expensive ads as they are on the front page. Keep your designs simple and let the text be bold so that your ads are easy to read on black and white newsprint. TV commercials give you a chance to tell a story and connect with people on a personal and human level.Once you have TV ads recorded, you can also use them on your social media profiles for more lively content. Here’s a look at some optometrist TV commercials and why they work. Providing an eyeglass prescription is the primary service that an optometrist offers, which means you have to figure out what makes you unique. It can be your service, your personality or any other aspect of your practice. In this ad, LensCrafters leans on its technology to show how it measures prescriptions and eyes in a whole new way. While this ad is for a large chain retailer, it shows an innovative way of highlighting its differentiators. This television commercial is adorable. It opens with a little boy wearing glasses that are much too big for his face and unable to see anything. Once he's at the eye doctor, we learn why. They're the glasses of his beloved grandfather. The eye doctor updates the lenses to match the little boy’s eyes so he can now be like his grandfather without struggling to see. This ad works because it tells a story. It shows the value that optometrists bring that isn't just your traditional annual visit. Pulling at the heartstrings works well in TV advertising. Remember those online retailers that are hurting optometrists? Well, America's Best found a way to showcase what makes them unique while also showing a bit of their fun character. The ad shows a caffeinated woman who is thrilled about her new designer glasses. The eye store markets their glasses at a reasonable price and bundles them with an eye exam. You can find unique ways to market yourself and provide value to our customers that you haven’t done before. The ad is excitable and fun with the woman interacting with an owl. All digital marketing leads back to your website. Print advertising does too, so having a good website is crucial to the success of your marketing efforts. More often than not, your website is the first impression that potential customers get of your practice. Create the best possible website you can to give the best first impression possible and win over visitors into customers. 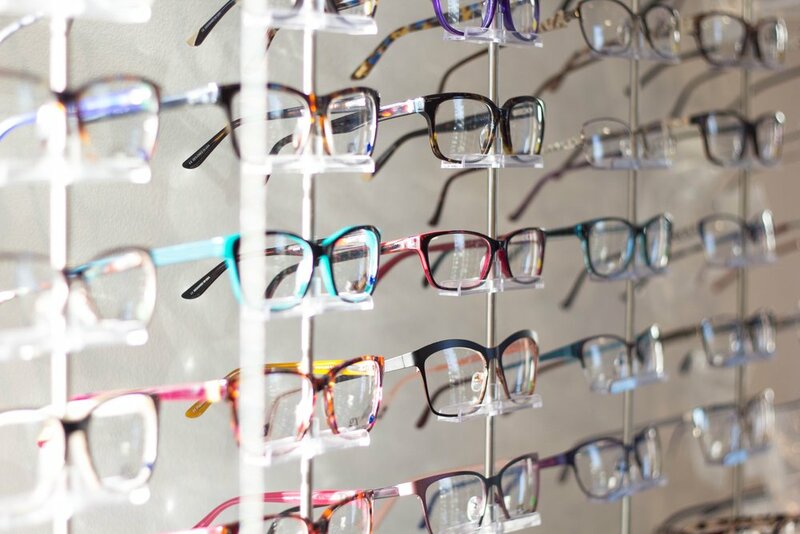 To get you thinking about how to engage your online visitors, let’s walk through some of the best optometrist websites out there and what makes them so engaging. Shelbourne takes a bold approach. When you see well, colors are vibrant, shapes are crisp, and it feels effortless. That's the look and feel of this website. The backgrounds have texture to give you the feeling of what you can see when your glasses or contacts are well-tailored to your needs. 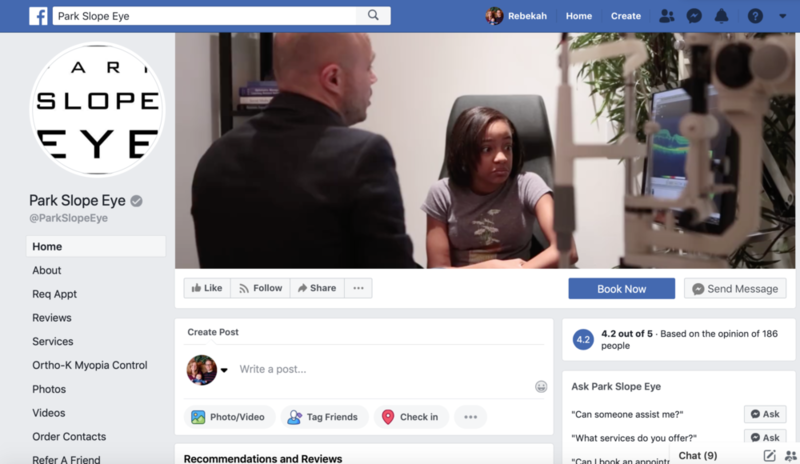 As you scroll down the page, you can learn more about the services the practice offers and read patient testimonials with links to their Facebook and Google review pages. Meet the doctors that work in the office. The best feature of this website is, you can schedule an eye exam without ever making a phone call. Pick an available time slot that fits for your schedule, and you're set to go. Marketing ideas for your optometrist website. This practice puts its services front and center on the homepage with listings for eyewear, vision therapy, and eye care. Before scrolling, it also has links to make an appointment or view patient forms, two everyday needs for patients when visiting a website. The website includes informational content on common eye problems, such as dry eye. There are some areas of opportunity for the site to be improved like learning more about the doctors and allowing for online scheduling. With vibrant photography of the inside of the office, you can imagine what it’s like to be a patient there, which helps their cause of bringing in new patients. Vision Plus offers a website that caters to the convenience patients are looking for. Make a payment on their website, order your contacts or schedule an appointment all from their homepage.These convenience factors are what make this website so great. The site also includes patient testimonials so you can get an idea of what type of practice they are. Although this is a local optometrist office, they still feature eyeglass sales so they can compete with the chains and online retailers. You’ll see these sales right on their homepage prominently. How you interact with your patients both in the office and before they even get there can dictate whether or not they stay your patients. Text message reminders for appointments, good patient record keeping and online scheduling all make for a better patient experience powered by technology. The best way to power your office technology is to choose a robust EMR or EHR platform that includes everything from billing to patient engagement. Here’s a look at the top 3 platforms. Compulink offers a view and pricing designed for eye care facilities. Because it’s designed for optometrists, it’s easier to use for patient care related to optometrists. The software is highly customizable to match the size and scale of your practice. The Compulink team is known for its world-class support, so you'll always have a knowledgeable team to guide you through from setup to using the software. Compulink powers everything from billing to patient engagement, which makes it an all-in-one tool for your practice management needs. The beauty of Revolution EHR is it was built specifically for optometrists. The software includes not just an EHR but also billing, scheduling, accounting, and archives for photos. Patients will love the patient portal where they can view appointments, details, and prescriptions. Go from handling claim submissions to scheduling a patient and taking a payment seamlessly. You’ll pay a setup fee and then a per-user fee for the software. The system is designed for small to midsized optometry practices. LiquidEHR is designed for small to midsized optometry practices. The feature-rich software offers mailing list generators, audit trails, compliance checks, document management and much more. You can e-prescribe and file insurance claims electronically using the software. To ensure security and HIPAA compliance, you can also view access logs and require encryption of all patient messaging. You can use the software directly on your computer or access it through a web browser for convenient viewing from anywhere.